Build new database driven web applications and web based systems to customer specification. 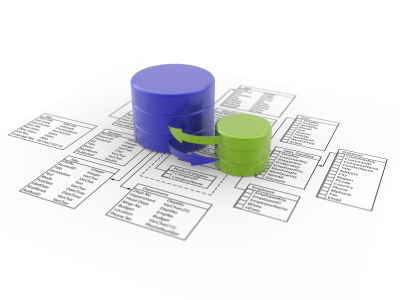 Maintain, extend and optimise existing databases, software or web applications. Rebuild existing software systems using modern web technologies to create more reliable and flexible solutions. Migrate existing processes, handled on paper or using data held in dissociated software packages, into one integrated web-based application. Your existing business processess may be run on legacy systems with outdated and awkward functions and operation, or via a combination of applications, e.g. MS Word, MS Excel, MS Access or other specific desktop packages—they may even be processed on paper. The Business Automation Systems we develop can handle different aspects of your business and typically migrate existing, disconnected processes into one, integrated, web-based application. Businesses from the Private, Public and Education sectors have benefited from our Web based Business Automation Systems offering significant cost savings and improvements to business performance. Deliver your expertise, know-how, products or services on-line, create new revenue streams and business opportunities and improve relationships with your customers. Many of our clients conduct the majority of their business processes and financial transactions on-line , and a growing portion of our clients operate “web-only” business models leveraging the potential of cloud computing. As web technologies move forward, customers expect more and more even from your traditional information web-site or portal. We work with businesses on improving their web presence and helping them stand out from the competition. What sort of features do those web sites and applications have? Resource Management Systems: Time/expense tracking by user/activity/project. Document/Digital Assets Management Systems: Business documents and other files used in marketing or operations need to be stored, easily accessed/searched and cross linked. Access can be organised according to client/project and staff roles. Also allows for document versioning, so that changes can be tracked and previous versions restored. Financial: Generating invoices and purchase orders, tracking expenses. Calculating profit and loss for a particular project, job or client. Data Processing:Delivering processed data using a proprietary process or formula. eg. calculation of risk values based on questions and answers (online clinical screening applications). Web content management: Whether it is just a small information site or a portal with thousands of pages and user-generated content (user accounts), an easy to use web-based application for maintaining the site by content authors with varying degrees of system access is invaluable to the nodern business. Reporting: Complex data filtering, saved searches, tabular and graphical reporting. Data can be exported to popular formats such as .csv, tab delimitted files, MS Excel, MS Word or PDF, with special formatting for printing.